...GrumpyOleTroll, a 2008 H. Upmann Mag 50 that was unbelievably delicious!! Its the best cigar I've smoked in a long while!! They are good, ain't they Patrick? Well... I haven't torched one yet, but thanks to Rob for a pair of beautiful cigars from a particular island. They will be my first, and one of them is getting incinerated tonight. I'll probably save the other for the Marine Corps B-Day. Just finished a Reserva Miraflor Churchill that I got from Vstrommark. After learning I "get" to spend all weekend working on my car, this put me in a much better mood, Thanks! Just come back inside from freezing and enjoying a x3 Triple Ligero Hansotia from shvictor! Thanks for the great experience brother! Smoked an illusione cg4 last night I got in a trade with dmoby. Great cigar! Thanks! Had a Rocky Patel I-Press, thanks to jjirons. Not a typical smoke, nor a typical RP flavor. Started out familiar but then went and got all spicy on me!! Bax hit me up with an '00 RS11 a while back. The cigar was great. Buring my lip with the lighter - not so much. Thanks to Darrell I had a La Aurora Preferido Emerald this morning!!! I will post a reveiw soon! Skywalker for a Tatuaje Reserva J21. Had great weather to sit outside and enjoy this cigar. A real nice cigar that just got better as I smoked it. Thanks Darrell. Thanks to Bao I had a very tasty Don Pepin Garcia Blue Label Firecracker!!! I won't soon forget this one!!! Thanks Bao!!! An Illusione 888 from Eternal Rider and a La Aroma de Cuba from Icehog3. Thanks Tom and Harland. Both were very good smokes. Actually is was yesterday. 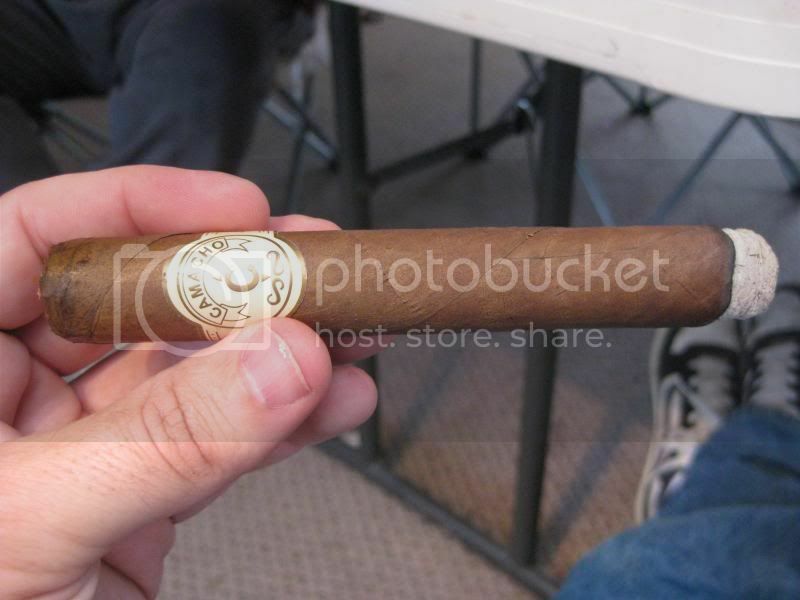 I had my first Montecristo #2. A very enjoyable cigar, although I did have to relight it several times. I really have to start dry boxing my soon-to-be-smoked sticks. Glad you enjoyed the LAdC, Ray....or is it James? Thanks to Fishbeadtwo I had a killer 05' Mag 50 EL tonight. Truly Generous and over two hours of smokey goodness.